South Suburban Savings: SWEET Deal on Minky Chenille Baby Blanket from Bebe Bella Designs!! 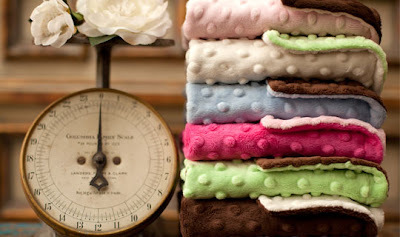 SWEET Deal on Minky Chenille Baby Blanket from Bebe Bella Designs!! Anyone else a fan of BebeBellaDesigns? I am so I am fawning over this deal :) Plum District is offering a voucher for a 30 x 30 Minky Chenille Baby Blanket from Bebe Bella Designs (a $52 Value) for only $20. It might be even less if you were able to grab any of the $5 credits I posted for Plum District in the past. I just ordered another through this deal. The voucher was in my Plum District account right away so I already placed my order!